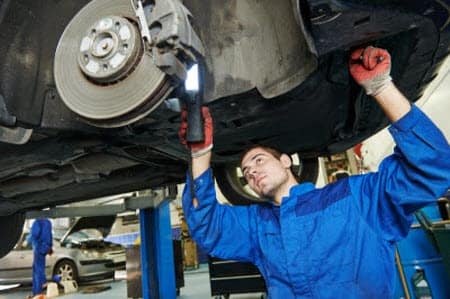 Your brakes are an important part of your vehicle’s safety. Because of this, it’s absolutely vital that you get into the nearest service center when you’re in need of a brake repair or replacement. 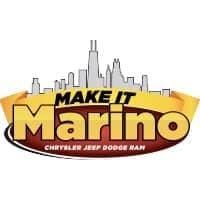 At Marino Chrysler Jeep Dodge Ram, we want our local customers from Chicago, Skokie and Park Ridge to be safe on the roads. That is why we offer comprehensive brake service and repair at our nearby service center. Your brakes should be part of your regularly-scheduled maintenance, but they also give you warning signs when something is amiss. 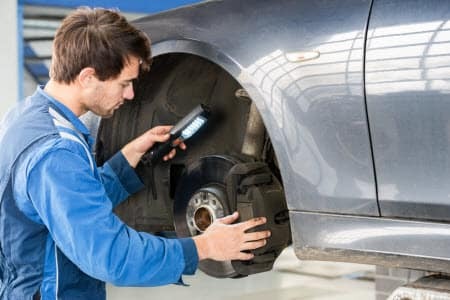 If you hear sounds like grinding, whistling, squealing or anything else unusual, it may mean that you’re in need of a brake repair or replacement. In addition, your brakes come with a small strip of metal attached to the brake pad. This serves as an indicator that your pad is getting worn and needs replacement. When your pads become worn, this strip will alert you with a chirping sound. There are several components to your braking system, all of which wear down at different rates. Each of these individual components should be replaced or repaired as part of your routine vehicle maintenance, but there are specific signs to look out for with each. This is a hydraulic clamp that holds the brake pad onto the brake rotor. These are flat pads that lay against the rotor and cause friction that slows and stops your vehicle. These are rotating discs that slow and stop your vehicle when the brake pads create friction. These are used with rear brakes and create friction on the inside of the brake drum to slow or stop your vehicle. This transports brake fluid from your solid-steel brake lines to the wheel cylinder or caliper. These hoses are flexible and allow the other components to move freely. 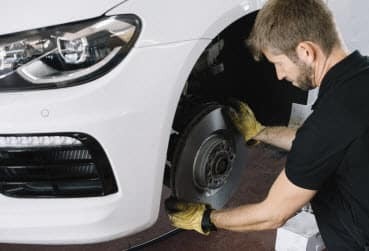 Now that you’re familiar with some of the common signs of wear for your braking components, you’ll have a better idea of when you need to head to a service center for a brake repair. If you’re in Chicago, Skokie or Park Ridge and need brake repair or service, visit the service center at Marino Chrysler Jeep Dodge Ram. We provide comprehensive brake repair for local drivers near these areas, so don’t hesitate to stop by and schedule your brake repair. Contact us today!